Our V20 twin double spindle cell is used for classic twin machining, while the V20 is designed for two-sided machining. Components with diameters of up to 200mm can be fed and discharged centrally between the two cells. Loading and unloading as well as workpiece swivel and transfer are performed directly with the handling grippers. 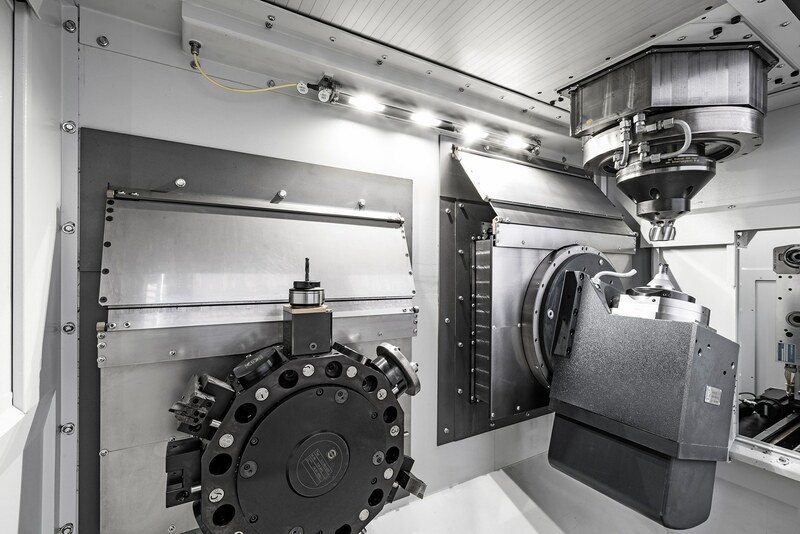 The V20 twin is able to perform precisely the same machining asynchronously on two spindles. All data and product information can be found in the PDF . The V20 trio is used for complete two-sided machining when the cycle times between side 1 and side 2 differ widely, as well as for complex additional operations. 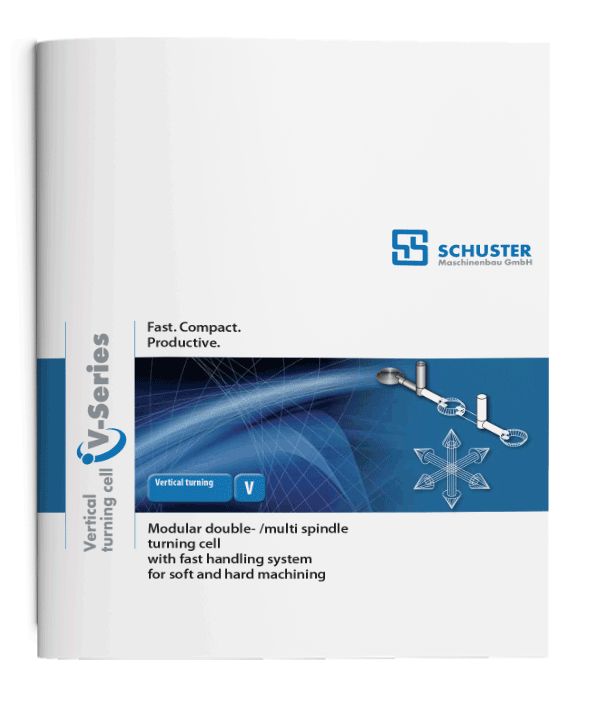 The very fast and simple component handling allows time-intensive operations to be split and distributed to the third module, resulting in an overall homogeneous throughput time. Similarly, subsequent operations that cannot be accommodated by classic two-sided machining and which would result in complex subsequent processing can be machined cheaply and in a single flow in the third module. Do you have any questions regarding the manufacturing of flange components, sliding sleeves or pulleys with our flexible, vertical CNC lathes? Simply fill in the form. One of our specialists will get in contact with you and will give you competent advice.